I can not wait to get my garden started and have fresh veggies available right outside my door! 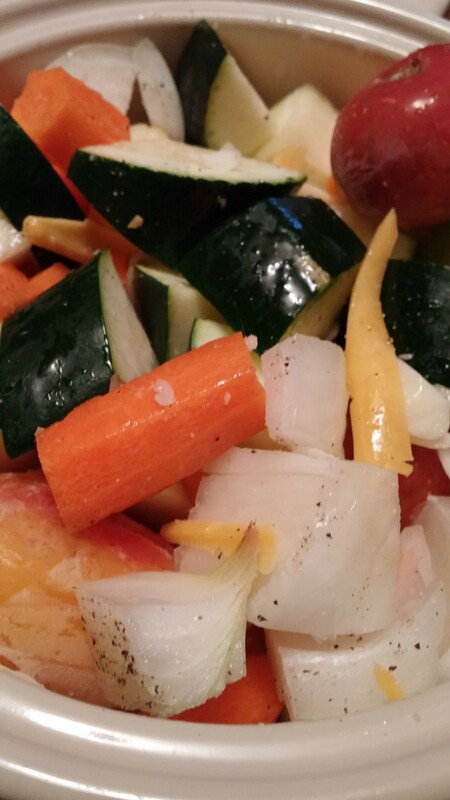 I buy lots of vegetables at the store and usually have the veggies in this recipe in my kitchen. It is a quick toss together recipe, great for a side dish or a vegetarian lunch idea! ENJOY! Enjoy the rest of your week! See you back here on Monday! 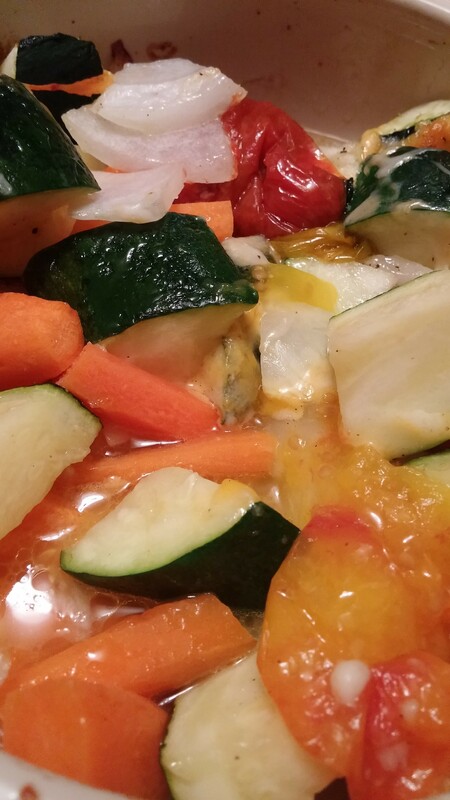 Place all the vegetables in a 2 quart small casserole dish. Drizzle with olive oil, you don’t need a lot. Sprinkle with your favorite spices. I used onion powder, garlic powder and black pepper. Sprinkle in about ¼ cup shredded cheddar and shredded mozzarella. Bake in a 375 degree oven for 30 minutes. ENJOY!